Are your resolutions set for the year? I’m usually really good about waking up on New Year’s Day and writing down my goals for upcoming the year. With my pen and paper in hand, I make a list of my New Year’s resolutions and tell myself that the physical act of writing things down will help me actually see them all through. Truthfully though, I never do. So this year I didn’t. I didn’t write anything down. Instead, I sat down and visualized what I wanted this year to look like. I asked myself questions and answered them by thinking about what my life would actually look like when I got there. What would would it look like when I my business thrives? What would I look like when I drank more green juice and ate more vegetables? 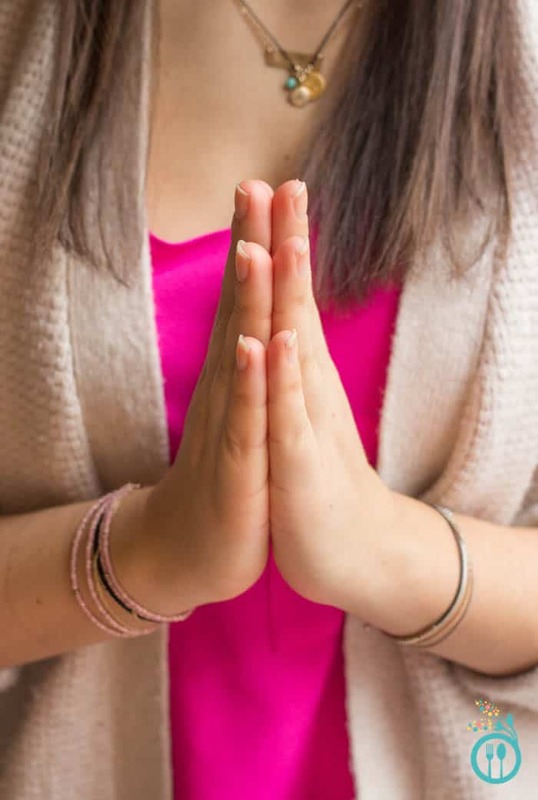 How would I feel when I had a daily meditation and yoga practice? How would my relationship with Matt grow when I had more free time to spend with him? With my eyes closed, I sat there and pictured what my life would be – everything from my apartment to my face, my body, my mind and yes, even my relationship – once I achieved my dreams and goals. Honestly, it was a pretty freeing experience. Instead of being tied down to my list, I was able to envision my successes which was much more motivating. I want to be the woman I saw – her smile, her body and her home – all felt much more attainable. My journal is empty, but my mind was open. And what I realized was that the main underlying theme of every one of my visualizations was tied back to my health – physical, mental and emotional. 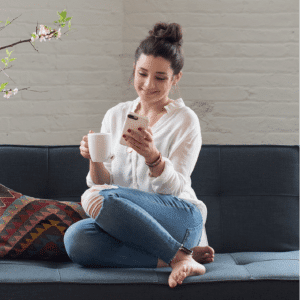 One of my goals with Simply Quinoa is to not only share healthy recipes with you, but it’s also to give you actionable advice for achieving your own personal health goals. 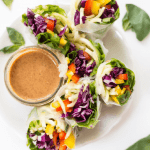 I know that many of you are in the same boat as me, striving to live a cleaner, healthier life, so part of what I wanted to share today, aside from a new recipe, are some healthy living tips that I use to stay on track. There’s no secret that our bodies need water to survive, but most of us, especially in the cold winter months, don’t drink enough of it. As a rule of thumb, try to drink at least half your body weight in ounces of water. So for example, if you weigh 150 lbs you would drink 75 ounces of water throughout the course of the day. If drinking that much plain water seems like too much for you, you can supplement with green and herbal teas as well as lemon water. I drink a cup of lemon water every single morning and I swear by it! I’m not a big workout person, but I do believe in moving my body daily. Whether that’s taking my dog for a walk, stretching before bed, taking a yoga class in my living room or doing a HIIT workout, when I move, I feel better. Exercise also gets your endorphins going, keeping your spirits high and giving you energy throughout the day. Really, even if it's just 15 minutes it will save your whole day. I personally like to get some exercise first thing in the morning, it gets my creative juices flowing and makes me more productive and focused. Eat and drink your greens. Part of my secret is to feeling better is making sure I have lots and LOTS of greens in my diet. 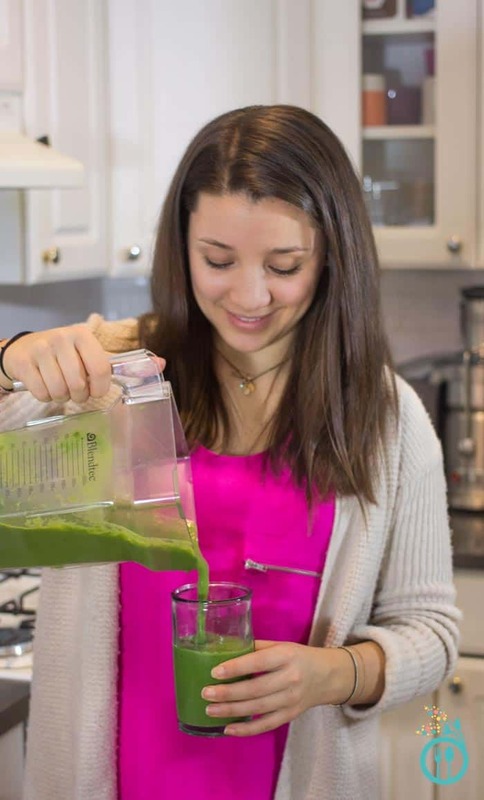 I eat salad on the reg, spiralize my veggies and you definitely know I'm a big fan of drinking my greens – I make fresh juices and smoothies every day. As I've been paying more attention to my body and how it reacts to the food I eat, I can tell when I'm not eating enough vegetables. Veggies make the dark circles under my eyes disappear, my energy goes through the roof, and I have a bigger smile on my face because my mind is sharp and I get more done during the day. 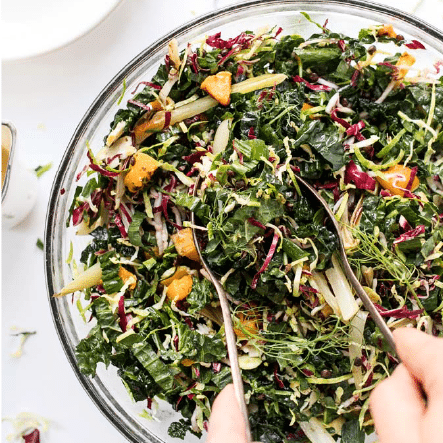 But I have to admit sometimes sneaking greens into my meals is a little difficult, which is why I'm so excited to have found ALOHA. 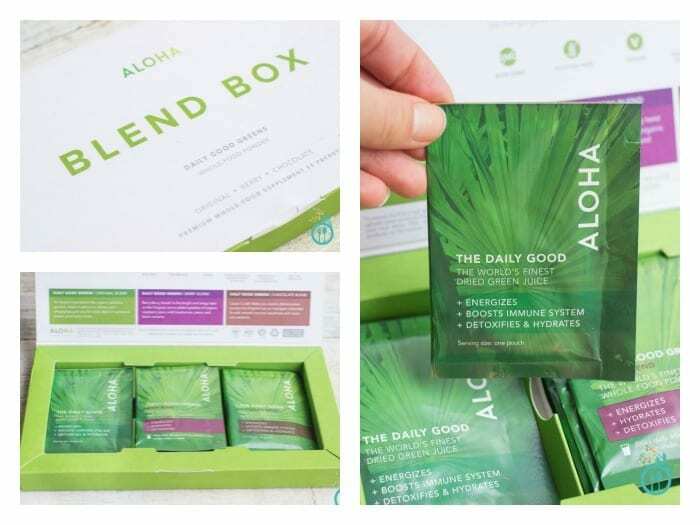 If you thought getting your daily dose of fruits and vegetables was time consuming, expensive, or just plain difficult, then you will also love ALOHA. 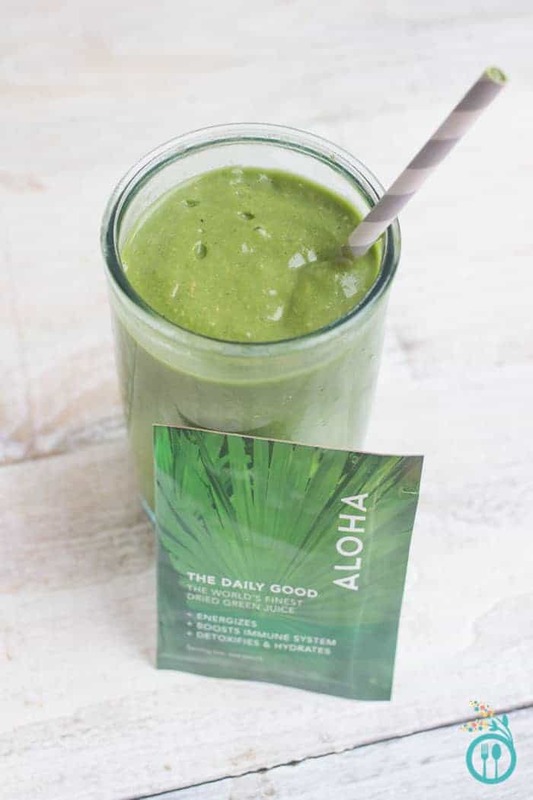 ALOHA makes drinking your greens easy! How good does that sound?! Their green powder, The Daily Good, comes in convenient, single-serving packages that you can take with you on the go. 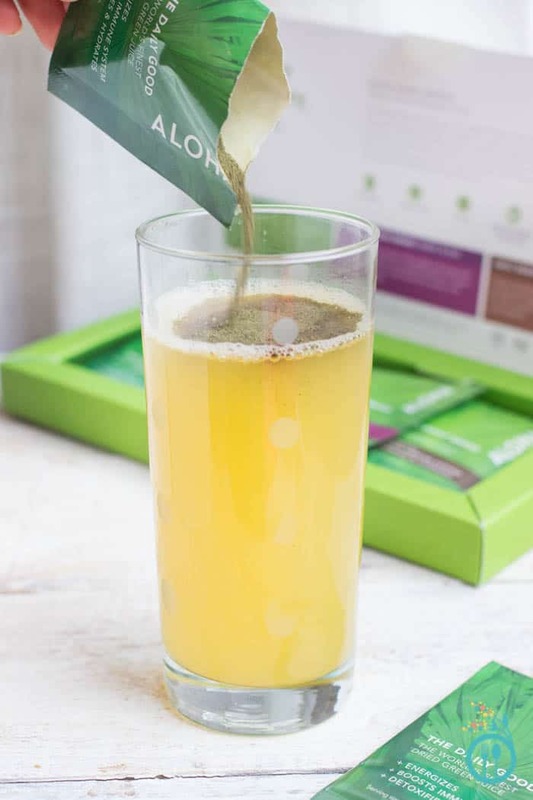 It energizes you, it boosts your immune system and it detoxifies and hydrates your system. And get this: all you have to do is sprinkle it over some fruit juice and you've got a super healthy green juice on your hands! My favorite way to enjoy ALOHA is mixed with a little bit of pineapple juice and water. It reminds me of drinking a tropical cocktail, but sans all the sugar and alcohol. Instead it's packed with superfoods and hard-to-find nutrients. Just one sip and I feel energized! To make my quick green juice, I just mix 1/2 cup of pineapple juice and with 1 1/2 cups of water. Stir it together and you're done. 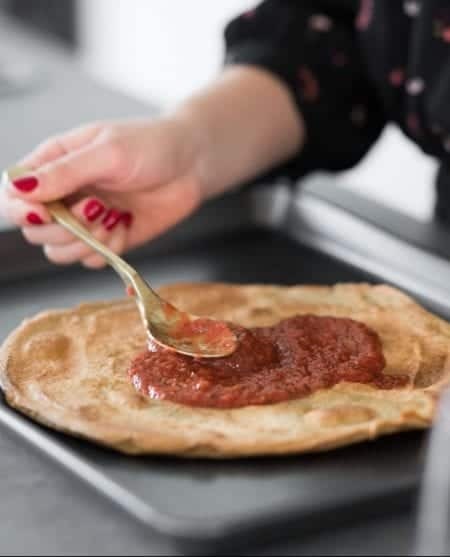 No cutting, no peeling, no juicing and no cleaning up. 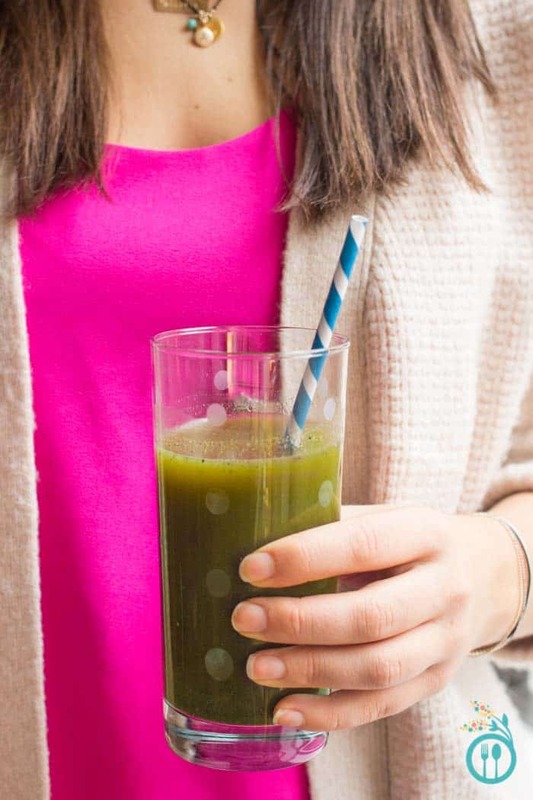 All you've got is a bright green juice on your hands. I also love taking ALOHA with me while I'm on the go, especially when I travel. It's hard to know if you're going to have access to fresh produce, so having these pouches in my purse helps me make sure that I'm sticking to my healthy regimen while getting a good dose of veggies without any effort at all. Plus, they come in three fabulous flavors so I can mix and match. Craving chocolate milk? Mix their chocolate flavor with a little almond milk. How about something sweet? The berry flavored pairs perfectly with a berry smoothie. 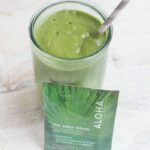 And speaking of smoothies… I also adore using a blend of ALOHA's green powder and their new protein powder in my smoothies. In fact, I'm sharing one of my newest favorites with you today! If you do have a little more time on your hands or want something that's a little more substantial, then you'll dig this smoothie. It has a tropical twist and is full of the nutrients your body craves. 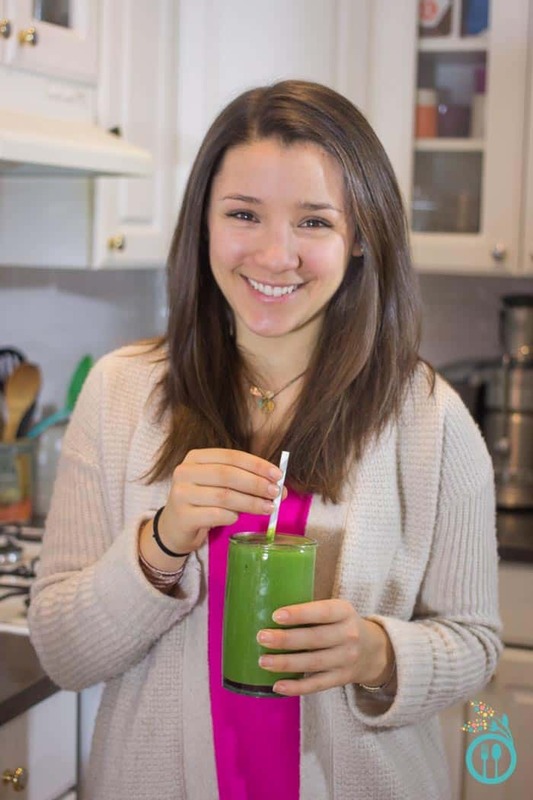 To make the base for this tropical green smoothie, use a pineapple juice and water. It's sweet and perfect for adding that gorgeous tropical flavor! Add all ingredients to a high powered blender and blend on high until smooth and creamy. This post was sponsored by ALOHA, but all opinions are my own.